UPDATE (27 July): A fresh attack in the central Nigerian State of Benue by suspected Fulani herdsmen has left at least 14 dead in the predominantly Christian area of Gaambe-Tiev – the same place that has seen violence for over a month now. The assailants stormed the community on July 25th at about 7.30 am, shouting and shooting sporadically, an eyewitness told media. “Everybody, including women and children, ran for their lives. Bodies of some of those killed are being recovered from the farms and we are still counting”, he said. Many properties and farms have also been destroyed. Deadly attacks attributed to Fulani herdsmen occur almost on a daily basis in Benue State. Details have slowly emerged of attacks carried out by mainly Muslim Fulani herdsmen in central Nigeria’s Benue state, near its border with Taraba state, from the end of June until now. They were on the communities of Logo, Ukum and part of Wukari. Early reports said that 81 people were killed, but local sources contacted by World Watch Monitor said that the toll has now reached at least 133. An undetermined number of properties have been looted or destroyed, including 76 churches. Locals told World Watch Monitor that from 18 June until now, Fulani herdsmen have occupied almost all of the areas named above: and that some church buildings and premises are now being used as camps, from which the herdsmen continue to attack other Christian communities. Benue State has been wracked with deadly violence. 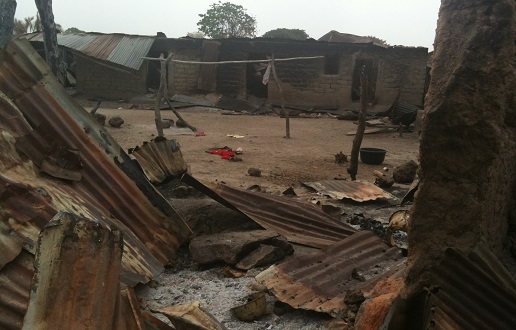 More than 500 people were killed in February in the mainly Christian area of Agatu. About 20,000 people are thought to have fled the wave of attacks, which some locals say is the worst massacre by Fulani herdsmen since 2010 – when 400-500 died near Jos. 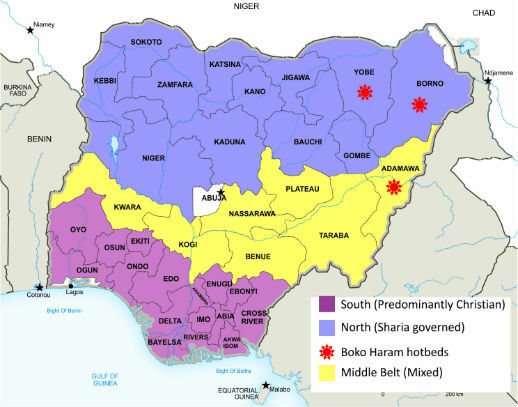 Fulani violence in the central Nigerian Middle Belt has features long familiar to Nigerians: ethnic Fulani cattle herders, largely Muslim, moving in on farmers, largely Christian. The long-running land conflict is frequently framed in economic terms, but the current violence is beyond the grazing issues between local farmers and Fulani herdsmen, the Chairman of the Christian Association of Nigeria (CAN) in Benue State told World Watch Monitor. The violence has had a dramatic impact on local churches, which have witnessed the departure of dozens of their members. The population is on the run. People have not been able to attend services, for security reasons. Sometimes in a church of 2,000 members, only 50 will attend. “The pastors are also on the run. Their houses have also been destroyed and their members have been scattered all over, with many living in camps now,” said Rev. Leva. Since last year, over 200 churches have been destroyed in Benue State alone. Schools and other social services have not been spared. “It is a really pathetic situation,” lamented Rev. Leva, who blames the authorities for not providing protection despite the ongoing violence. He said the continuing violence will have lasting consequences for the local communities, who may face food shortages in the near future because all types of farms have been completely destroyed – those growing yams, cassava, beans, maize, corn, rice, soya beans, groundnuts, etc. Moreover, farmers are now afraid to go out to farm, as they are frequently picked off by the herdsmen’s guns. “We call on the government to protect our people, so that they can continue to go to their farms without any fear of being killed,” added Rev. Leva. The ongoing attacks have left hundreds dead and led thousands to flee from the largely Christian areas of Benue, Taraba, Plateau, Kaduna, Nasarawa and Niger states in Nigeria’s farming belt. On Monday night (18 July), suspected Fulani herders attacked and killed the traditional ruler of the Ron/Kulere tribe (in the Bokkos Local Government Area) in Plateau State. Sir Lazarus Agai, a Christian, was attacked on his way home from his farm. There had been a long-running disagreement between Agai and the herdsmen over his refusal to issue them with cards stating that they are indigenous to the state. In the Nigerian system, people indigenous to a state enjoy benefits over non-indigenes. He is the third Christian district-head killed by Fulani herders this year. Meanwhile, on 30 June, Rev. Joseph Kurah was hacked to death by suspected armed Fulani herdsmen in Obi, Nasarawa. According to researcher Yonas Dembele, analyst for Open Doors International, which works with Christians under pressure for their faith, the pattern of Fulani violence in the region – their use of military-grade weapons to drive Christians off the land and to occupy it; the destruction of Christian homes and churches; and their call for the imposition of Islamic law, among other hallmarks – amounts to ethnic cleansing of the Middle Belt. The campaign, he argues, is ultimately steered by the same ambition that drives Boko Haram to the north: to bring the non-Islamic world under Islamic rule.